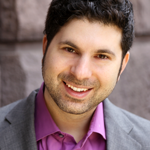 Scott Barry Kaufman is a psychologist, author, and podcaster who is deeply interested in using psychological science to help all kinds of minds live a creative, fulfilling, and meaningful life. Kaufman has over 60 scientific publications on intelligence, creativity, personality, and well-being. In addition to writing the column Beautiful Minds for Scientific American, he also hosts The Psychology Podcast, which was named by Business Insider a podcast that “will change how you think about human behavior.” Kaufman is author & editor of 8 books, including Twice Exceptional: Supporting and Educating Bright and Creative Students with Learning Difficulties, Wired to Create: Unravelling the Mysteries of the Creative Mind (with Carolyn Gregoire), Ungifted: Intelligence Redefined, and The Complexity of Greatness: Beyond Talent or Practice. Kaufman received a Ph.D. in cognitive psychology from Yale University, and an M. Phil in experimental psychology from the University of Cambridge under a Gates Cambridge Scholarship. You can find out more at http://ScottBarryKaufman.com.